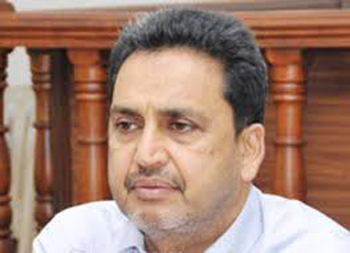 Mangaluru, Apr 19, 2016: DK DC Adoor B Ibrahim has sent letter on April 18, Monday to the Union ministry of external affairs seeking immediate action for repatriation of dead bodies of those died in Jubail fire mishap. In a letter to the deputy secretary and consular of the ministry, the DC sought their intervention to bring back the bodies of Bhaskar Poojary, Vincent Monteiro, Mohammed Ashraf, Karthik Sanil and Balakrishna Poojary, all from Dakshina Kannada, at the earliest. "In the fire accident at Petrochemical Complex in Jubail, Saudi Arabia on April 16, as many as 14 persons including 10 Indian nationals died. Out of 10 persons, five are from Dakshina Kannada district. The families of the deceased workers have been informed and they have requested the district administration to make necessary arrangements to repatriate dead bodies to their respective addresses in India. The nearest airport is Mangaluru International Airport and the district administration will make necessary arrangement to receive the bodies," the DC stated.